This was my first journey outside Bihar and I was very excited. My train was from Patna Junction Station at 6:30 PM. There was a journey of exactly 52 hours as the train was late by 4 hours. My uncle was there to receive me at the Bangalore railway station. The first thing I noticed after reaching Bangalore was the climate. The climate of Bangalore city was fantastic in the month of May with some rainfall, which was really strange for any North Indian people. My uncle came at the railway station with his Hyundai I-20. This was my first experience that someone came to receive me with his car in a station. I was really enjoying every seconds of my life in Bangalore city. After a journey of 35 minutes from the railway station, we reached the apartment. In the house, my aunty and 2-kids were present, awaiting me. As it was quite late at around 11:00 PM, we did not waste our time and went to bed after enjoying my favorite dinner - chicken and rice. After relaxing for 2 days at my uncle's place, it was the time to have a tour of the Bangalore City. My uncle told me all the details of the places that are mostly visited by everyone who comes to Bangalore for the first time. He also give money and told me the bus routes of all that places. The first place I chose to visit was the temple of Lord Krishna, which is present in all the parts of India as well as outside India. The name of that temple is Iskcon, which is a very popular place in Bangalore. The visit was really worth and I really enjoyed a lot there. After that I went to famous cricket stadium in Bangalore, which is CHINNASWAMI stadium. It was also a nice place to visit. 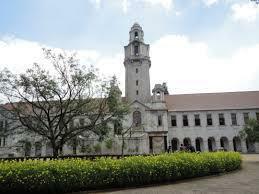 Now its time visit the technical places of Bangalore like IISC Bangalore, IIM Bangalore. There is a place called ELECTRONIC CITY in Bangalore were all the top most MNC companies have their offices. So I visited Electronic city as well. Next in the line was a travel by the Bangalore metro. This was my first experience on a metro train and I really enjoyed a lot. After spending few days in bangalore, I made a visit to Tirupathi in Andhra Pradesh. Tirupati Balaji is a very famous holy place of India and very people got the chance to visit this temple and I was one of them. 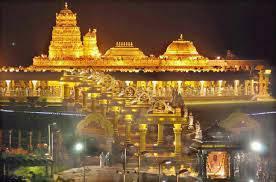 I went to TIRUPATI BALAJI temple by a tourist bus and it was a journey of more than 8 hours. It was really a tiring journey but I was excited because I could visit the Lord Balaji. It is almost 8 hours in the queue to have a entry in the main temple. A trip to Bangalore is always a memorable one. Visitors from various places of the country and abroad would attract you from the busy Majestic centre near the Railway station itself. The organised Subways and the flyovers at the Kempe Gowda Bus station are the symbols of the modern traffic regulation techniques. The much populated city with regular floating of visitors always looks with glamour because of its heritage centres and worth visiting places. Also known as 'Garden city', Bengaluru is spotted for the famous Lalbagh botanical gardens. Students and visitors prefer to visit this place to know various varieties plants and their growth. The famous Visweswariah Museum is a feather in the cap of the city, I would say and the trip would not be complete if one fails to visit the museum. This science museum gives a complete knowledge of various inventions and the model of the first plane designed by the Wright Brothers would be marvelous to see. A huge statue of Lord Shiva on Kailasgiri model and the Dwadasha lingas inside the designed hill near Kemp Forte show room attracts regular devotees from local and regular visitors. The continuous flow of water symbolises Maa Ganga from the long hair of Lod Shiva. It has become local pilgrim spot these days. Apart from the places mentioned above and in the article, famous Nandi Hills is just 40 K.M from Bangalore towards the Yellahanka road. It is a hill resort and the view of the surrounding from the top would be an eye catching sight. An ancestral Manjunatha temple on the hill is a place of worship here. As already mentioned by the author, Iscon temple at Bangalore is one of the biggest temples under Iscon group in the country. On the other side of the road, opposite to Iscontemple, Hanuman Mandir is another place of worship where a very large statue of Lord Hanuman lies. The Bull temple in Bangalore near Malleswaram and many other places are there to visit. The M G Toad, the Brigade road and the Majestic circle are good places of marketing/purchases. You can stay in any hotel of your choice at cheap and economical rates with comfort. Food at an affordable rate with quality can be had in any hotel and the Kamat group of hotels are much preferred by the visitors. Your blog was a very entertaining read and it is really well written. I felt like I was visiting Bangalore for the first time. That is how much I was involved in your writing. It was a lovely thing to read about your wonderful experiences in the Bangalore city. What attracts me the most in banglore is, it is a treasure for shopping lovers. Go to SP road and you've all thing electronics available el' cheapo. Go to Chikpet and it's a women's paradise with the shops selling Sarees and other ladies dress. But, above all don't you feel the city is now awfully congested and the climate is no more friendly? Your article showcasing 'Bangalore', also known as India's Silicon Valley is truly informative. 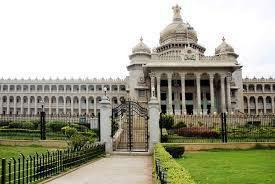 A visit to Bangalore will surely give you unforgettable memories. We are a cab service company in Bangalore providing outstation cabs.